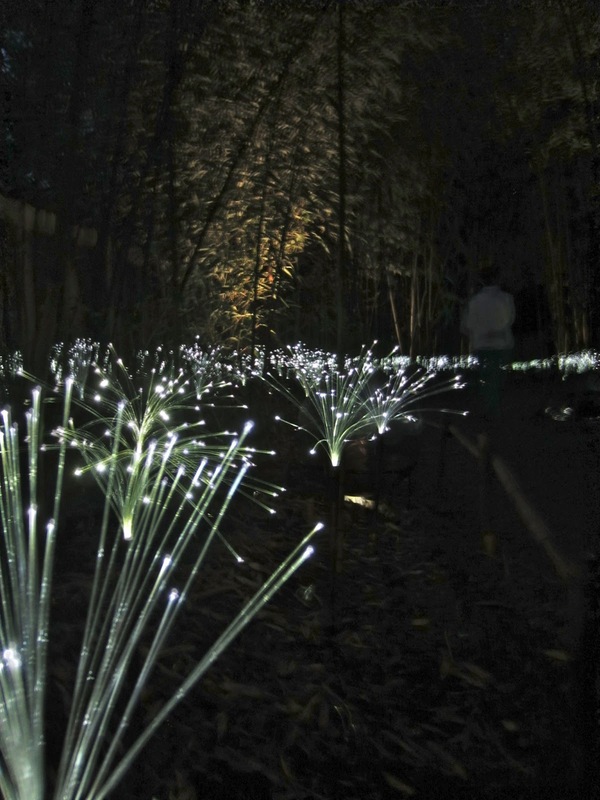 Tonight was officially the second night the Bruce Munro light exhibit was open at Cheekwood and we were dazzled. I brought Rob down there with me, we sprayed a healthy dose of bug spray on ourselves, and walked into a wonderland of light. This is only the second time this installation is being shown in the U.S. The first time was at Longwood Gardens in Pennsylvania, another place near and dear to my plant-loving heart. Vogue named the Light exhibit at Cheekwood #2 on its list From Memorial Day to Labor Day, 31 Ways to Make the Most of Summer. An impressive feat for our little city! This is the largest installation the garden has had since Chihuly came a few years ago and blew us all away with the sheer awesomeness of his nature and glass exhibit. 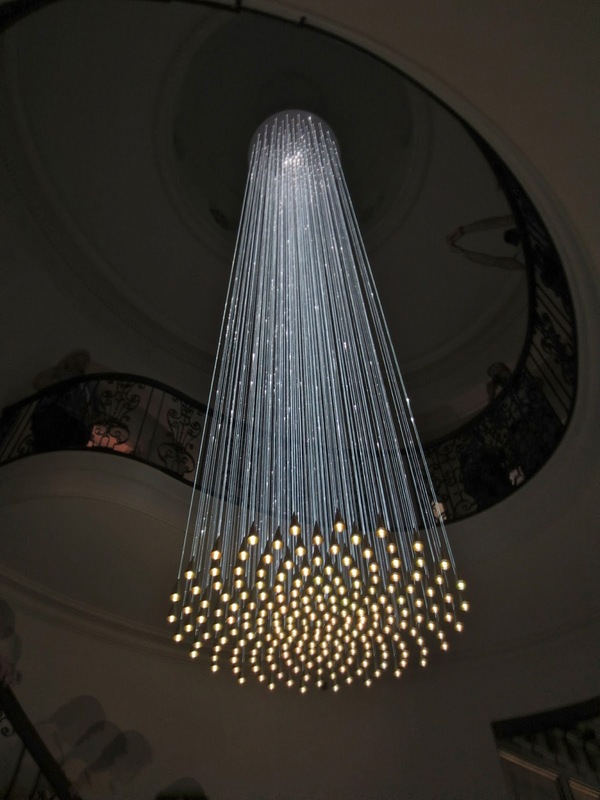 You can find more information about British artist, Bruce Munro, here. Please know, I wanted to give you an idea of what this looks like so you will go visit, but these pictures can’t possibly do justice to the magic of being there in person. And I just renewed my membership so I can take two guests every time I go. Hit me up, people! As you walk into the gardens, you happen upon the water towers, made of 10,000 bottles of water all laced with fiber optic lights. They looked amazing when the dark closed in. Ethereal music was floating through the speakers in each tower and added such a cool vibe, I was sad to leave. If they had been able to pipe that music through the entire garden, it would have made the whole experience completely epic. Then we headed to the Japanese garden where the bamboo forest was lit with dozens of fiber optic filament lights from the below. 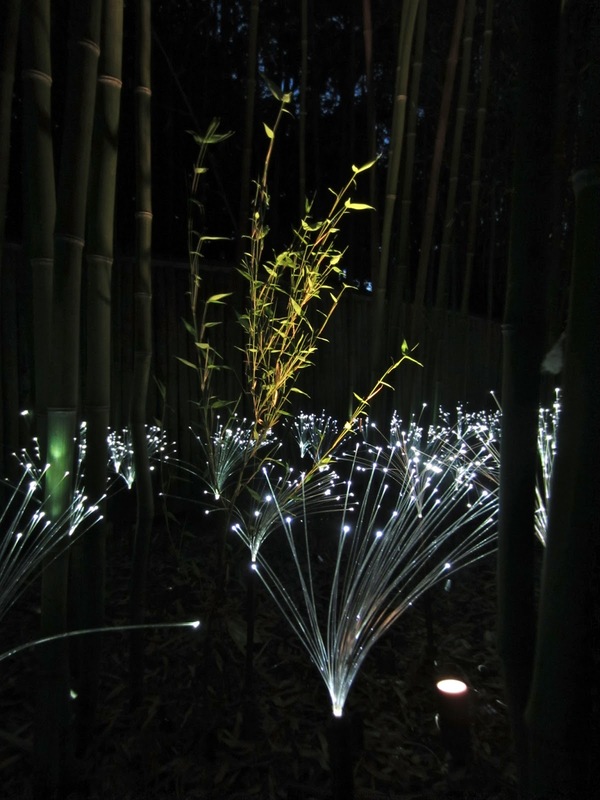 The effect made it seem like fairies could be flitting in amongst the tall bamboo. I could have stayed in this one spot all night. The Zen garden had one feature, a blue moon that shifted between shades of white, green, and deepest indigo. The effect was very peaceful and could bring a person to a trance-like state if they stared for too long. 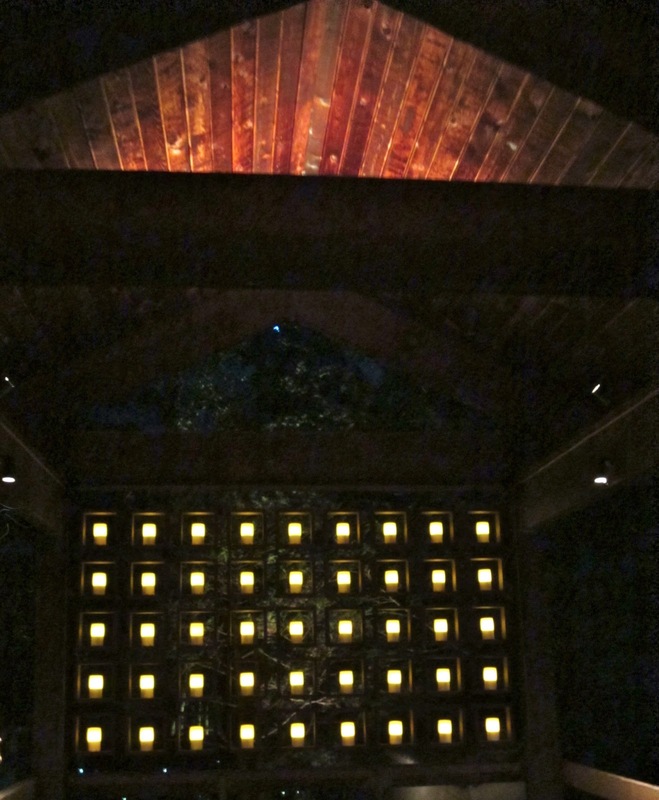 The pavilion was flanked with lit candles on both sides, which added a softer, more natural light that clashed pleasantly with the fiber optics happening everywhere else. As we headed across the field to the pond, the tipi lights were flashing so fast it was hard to concentrate on them for long. The effect with the reflection on the water was really stunning though. They were definitely the party lights of the garden, except no EDM music was playing over there. Sad. The information plate said they were meant to invoke memories of our history. The shallow pool is always a favorite spot of mine to sit when I’m at Cheekwood. The water is so quiet, so tranquil, and the simplicity of the orbs was a perfect accompaniment to the space. The still water gave a mirror effect that made it look like you could step right out and skate around those orbs. We headed up to the house where there were some ceiling chandeliers to die for. 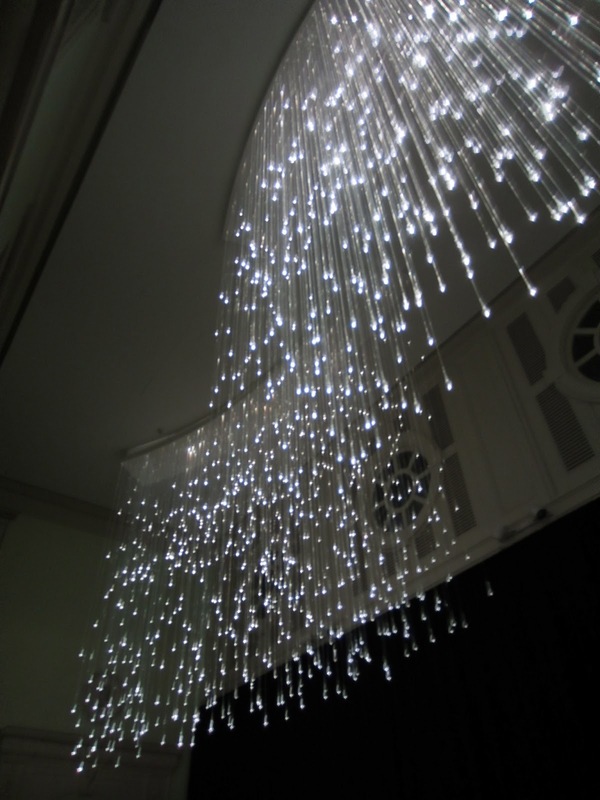 The one in the solarium felt like a shower of falling stars and the one beside the winding staircase looked like small bells hanging from silken threads. Back outside the house was the most incredible display of thousands of tiny suspended lights all over the property. Every inch of green space was covered in these lights. 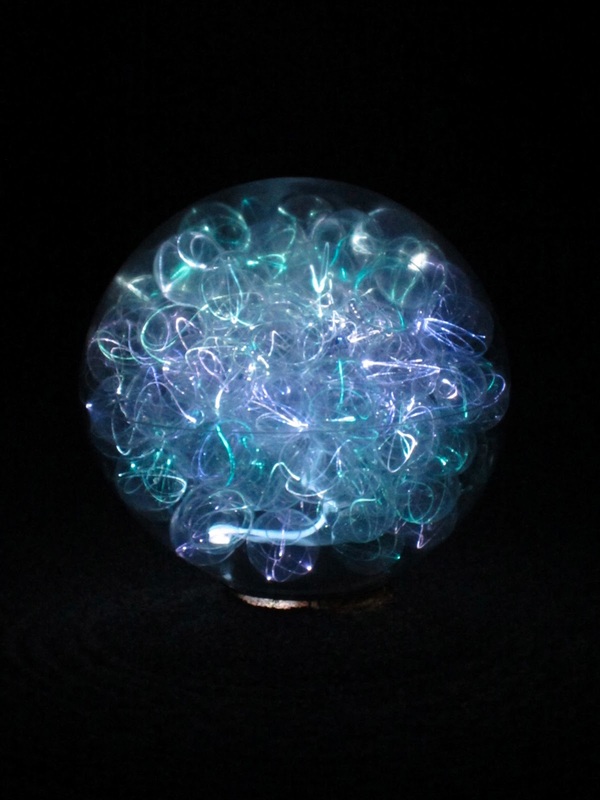 They looked like internally lit lollipops or glowing tulips with colors that shifted and changed. It looked like the wind was blowing through them, causing the colors to glow and fade like embers. These were probably the most impressive and beautiful part of the exhibit, but also the trickiest to actually get a picture of. This is where the “you had to be there” part comes in. Overall, Cheekwood is decked out in a finery of lights. It took us a little over an hour to go through the place, and would have taken longer if we’d stopped to look at the art in the house (which I’d already seen) and perhaps grabbed a glass of wine at the bar before heading out. I will definitely be visiting this place many times (and bringing friends) as this exhibit continues through November. The exhibit is only open at night on Wednesday-Friday, not Saturday, so be sure to plan accordingly. Admission is $15 for adults ($5 if you are member, or if you are with a member who has guest passes, like me). Other visit details are listed here. Be sure to support Cheekwood while this wonderful installation is here. We need this botanical garden to thrive and bring more incredible art exhibits to the city!